The University of Arkansas Rice Research and Extension Center has dedicated nearly a century of service to Arkansas agriculture and its people. The Center’s beginnings date to 1925 when a group of rice farmers recognized the need for research-based information to answer specific production problems. The Center serves as the focal point for the University of Arkansas Division of Agriculture’s applied rice research and education programs and is nationally and internationally recognized for the practical solutions to producers’ problems obtained by our faculty. The Rice Research and Extension Center comprises 1,022 acres (414 hectares) of formerly native prairie, including 732 acres for small-plot research and foundation seed, 108 acres in reservoirs, 40 acres in the building complex, and the balance in roads and ditches. An underground irrigation system is connected to the reservoirs and one deep well. A new office and laboratory facility was opened in 2010 that includes a 350-seat conference center, 16,616 sq. ft. of laboratory space, and 2,940 sq. ft. of greenhouse space. A state-of-the-art Foundation Seed Processing Facility was completed in 2016, allowing us to continue to provide the highest quality Foundation grade rice, soybean and wheat seed to Arkansas seed growers. Our facilities include greenhouses, laboratories, a shop, an equipment storage shed, and a chemical mixing facility. RREC faculty develop improved varieties coupled with sustainable crop management recommendations for Arkansas rice farmers. Recommendations are transferred to farmers through field days, grower meetings, fact sheets, social media (Facebook and Twitter). 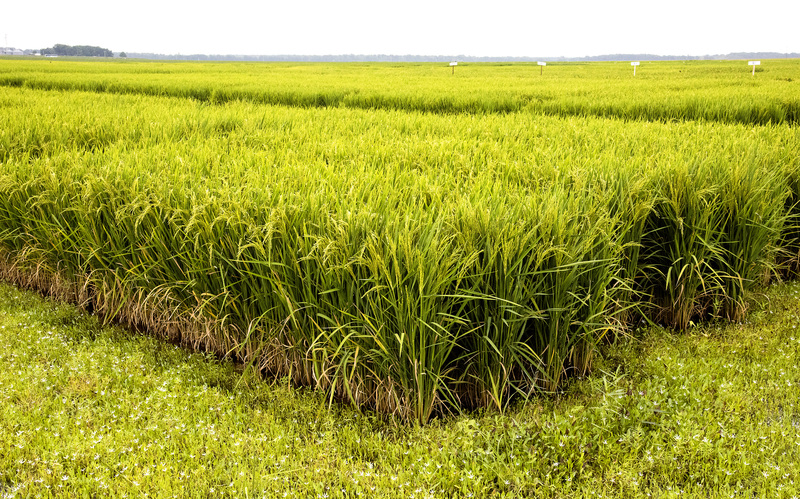 The programs of the RREC help Arkansas rice farmers maintain their competitive edge in the global rice market. Among the varieties developed at the Rice Research and Extension Center is Aroma 17, a long-grain aromatic with jasmine-like qualities. ARoma 17 was developed from a cross made at the Rice Research and Extension Center in 2009 between Jazzman — a Louisiana variety — and PI 597046, germplasm donated to the USDA Plant Introduction and Research program by the International Rice Research Institute in 1994. The resulting cross was selected for advancement toward commercial release in 2012.